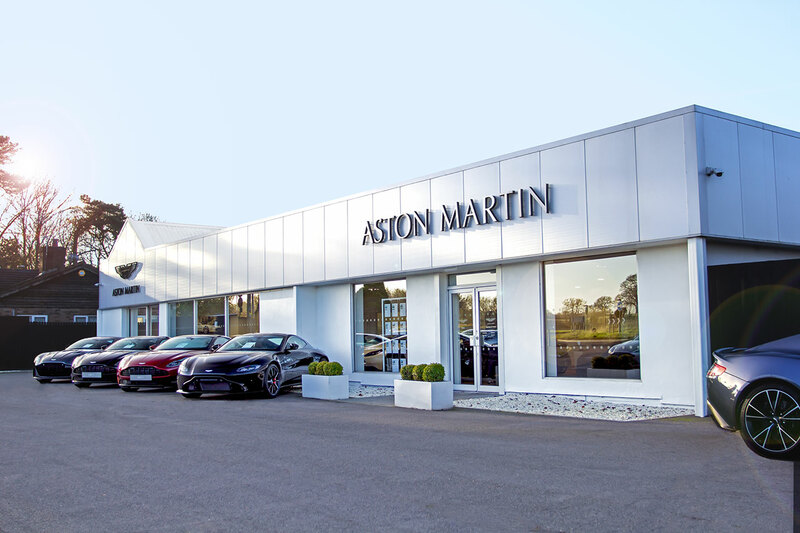 Aston Martin Birmingham are delighted to offer this absolutely fabulous Aston Martin Vantage finished in striking Lightning Silver complimented by the Copper Tan full leather interior. 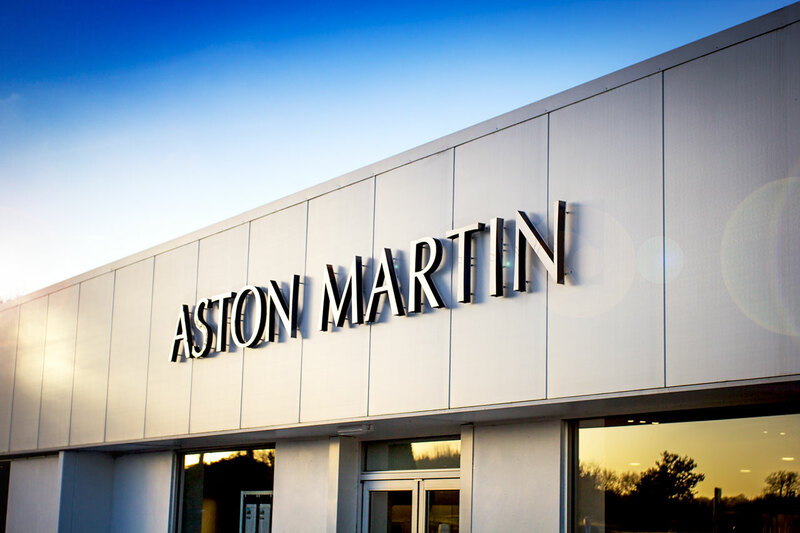 The heart of Vantage beats with a 4.0 litre twin-turbocharged V8 engine. Impressive acceleration of 0-62 mph in 3.6 seconds and a speed of up to 195 mph deliver raw athleticism and an enticing performance feel. 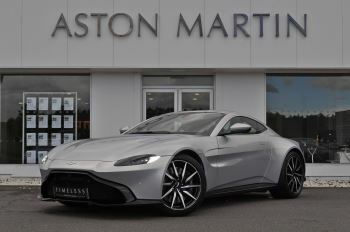 This Vantage has the benefit of the following options, 10 spoke directional Diamond Turned wheels, Aston Martin Premium Audio, Auto park assist, Key less entry, Perimeter camera system, 8 way seat adjust, Ventilated front seats, Armrest (Closed stowage), Heated front seats, Embossed wings seat embroidery, Glass switches, Gloss Black trim inlay, Base floor mats, Garage door opener, Dark chrome jewellery pack, Placed perforated leather seat inserts, 2 seater, Sports plus pack, Aluminium tread plates, Warm Charcoal seatbelts, Twin stainless steel matte Black tailpipe finisher, Black bodypack, Matte Black front grille mesh, Bright chrome badge, Silver cross brace, Bright window surround finisher, Dark Anodised brake calipers. 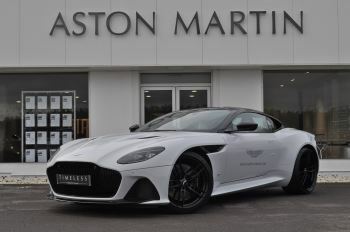 Aston Martin Birmingham are delighted to offer this superb V8 Vantage coupe finished in Magnetic Silver with complimentary Chancellor Red leather interior. 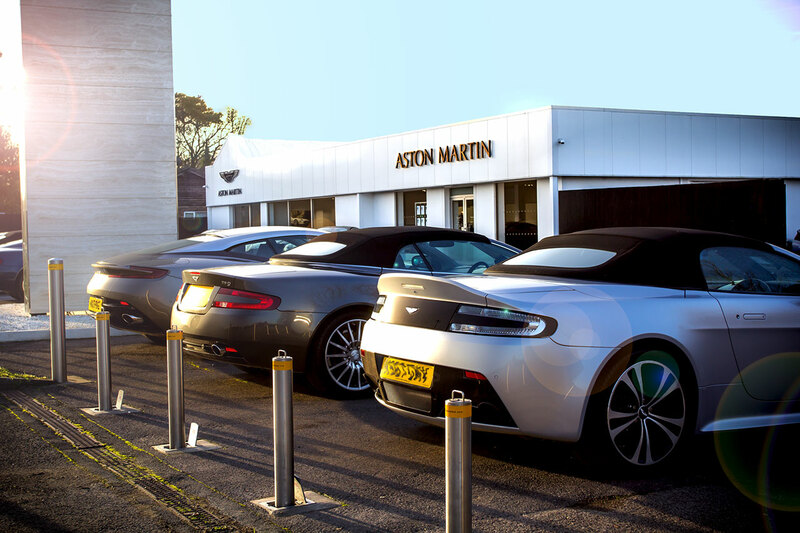 The heart of Vantage beats with a 4.0 litre twin-turbocharged V8 engine. 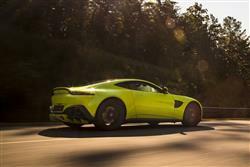 Impressive acceleration of 0-62 mph in 3.6 seconds and a speed of up to 195 mph deliver raw athleticism and an enticing performance feel. 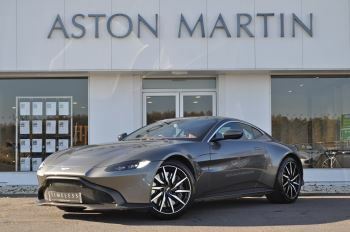 This Vantage has the benefit of the following options, 10 spoke Directional Gloss Black diamond turned wheels, Heated front seats, Aston Martin audio, Glass switches, Gloss Black trim inlay, Base floor mats, 8 way seat adjust, Aston Martin tracking, aluminium tread plates, perforated leather seat inserts, Dark chrome jewellery pack, Warm charcoal seatbelts, Sports plus pack, Silver cross brace, Matte Black exhaust tailpipe finisher, Graphite body pack, Titanium silver front grille mesh, Bright window surround, Dark Anodised brake calipers. 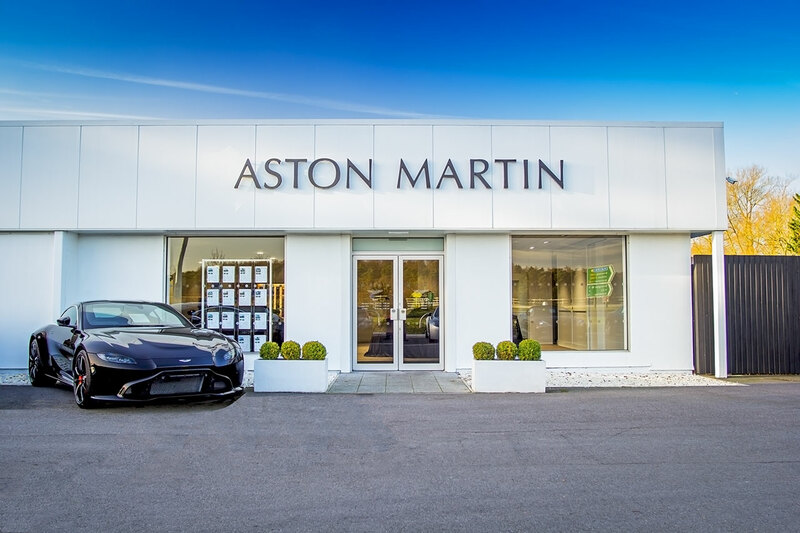 Aston Martin Birmingham are delighted to offer this fantastic DB11 V12 finished in the beautiful classic Silver Birch with a contrasting duo-tone interior of Obsidian Black and Ivory leather interior. 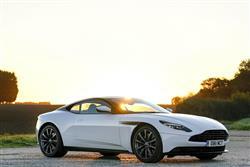 DB11's new twin-turbocharged 5.2-litre V12 engine, boasting 600 bhp and 700 Nm of torque. 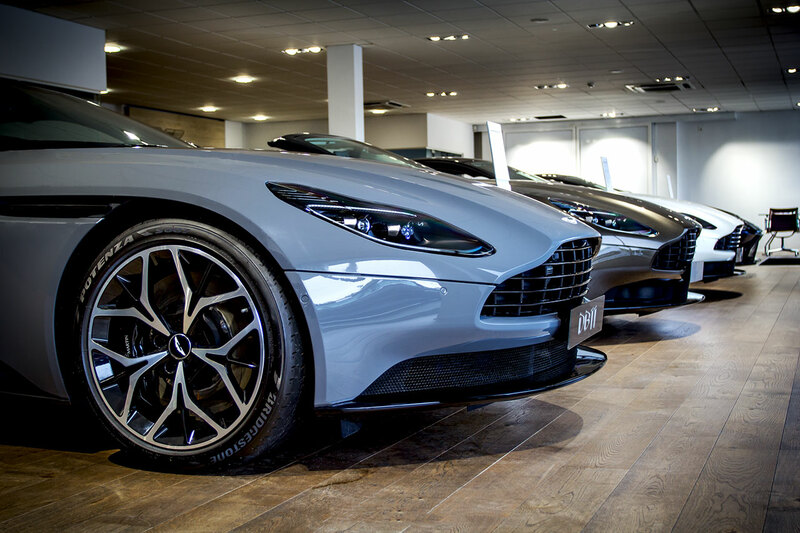 The DB11 has a luggage compartment that can swallow two golf bags and ISOFIX points enabling the fitment of two child seats, this exhilarating Grand Tourer is real-world prepared. 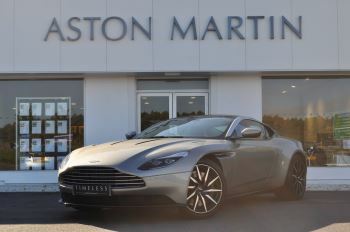 This DB11 has the benefit of the following options, 10 spoke directional Gloss Black diamond turned wheels, Bang & Olufsen Beosound audio, Satin Chopped Carbon trim inlay, Ventilated front seats, Celestial perforation, Aston Martin wings headrest embroidery, Power seat bolsters, Base floor mats, Interior bright pack, Satin Silver jewellery pack, Luxury pack, Warm Charcoal seatbelts, Gloss Black roof panel, Bright bonnet blades, Black body pack, Bright exterior finisher pack, Gloss Silver roof strake, Protective tape, Dark Anodised brake calipers. 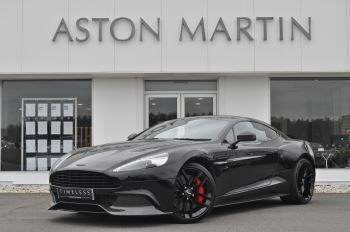 Aston Martin Birmingham are delighted to offer this superb Vanquish Carbon coupe finished in AML Carbon Black exterior with complimentary Obsidian Black leather interior. 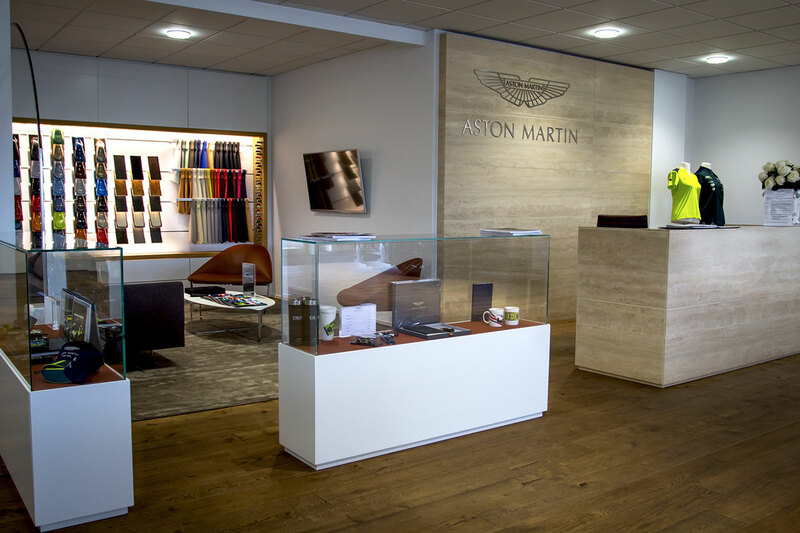 This Vanquish has been well cared for with only 1 owner from new and full service history . 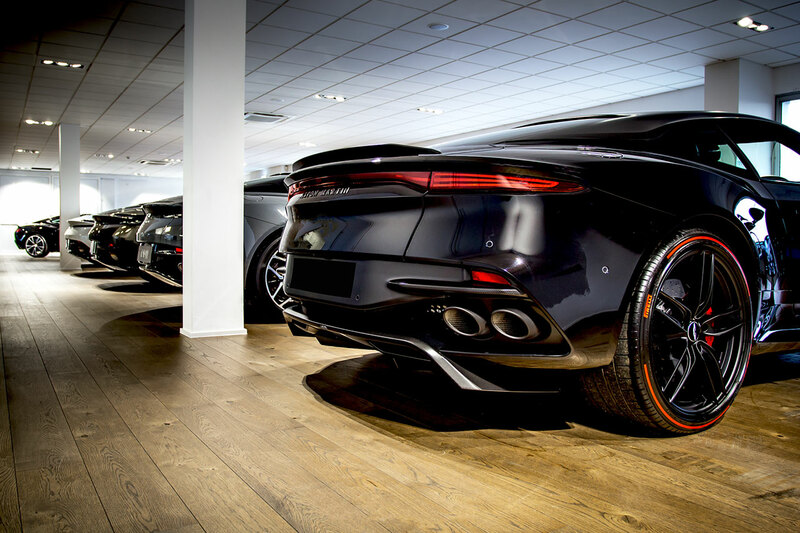 The Vanquish Carbon edition has the benefit of the following options, 20 inch 10 spoke Gloss Black Dt wheels, Ventilated front seats, One77 full leather steering wheel, Herringbone full length facia, Carbon Paddleshifts, Protective tape, Front and rear Carbon Fibre wing badges , Red brake calipers. 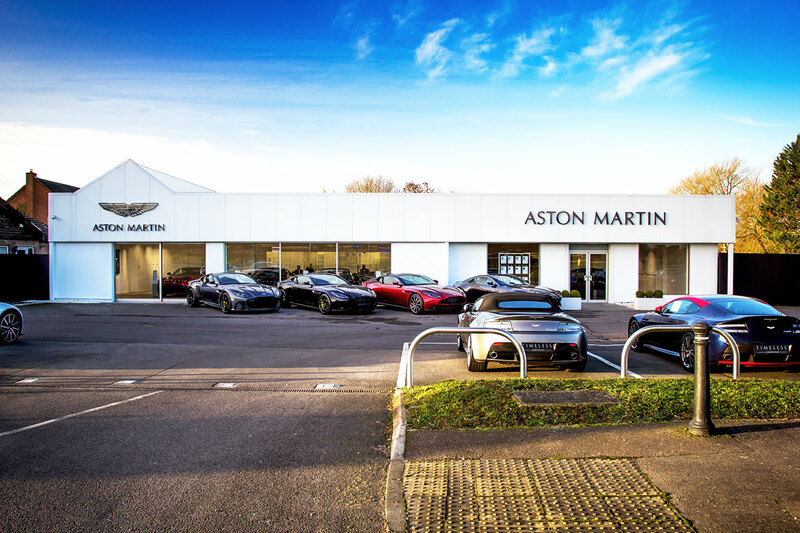 We are located just off the Kenilworth Road (A452) in Hampton in Arden near the A45.